Anyone who knows John Isaac Southerland knows he is prepared at all times, for any situation. A loyal Eagle Scout for more than 20 years, John Isaac incorporates a solution-oriented, proactive approach to every aspect of his life and law practice. This trait has served his clients very well for over a decade. John Isaac is a firm partner who successfully defends companies locally, regionally and nationally. His clients can count on him to remain highly responsive, knowledgeable about their business and acutely aware of their goals. 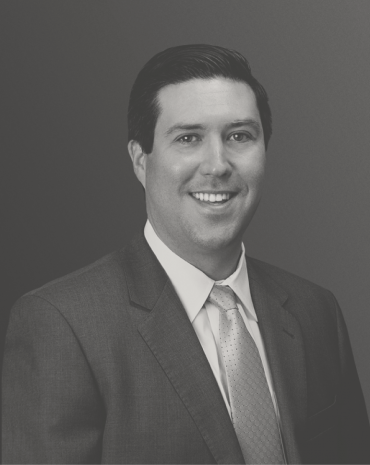 Since joining the firm in 2004, John Isaac has developed specialties in general product liability defense, personal injury defense, automotive product liability defense, heavy equipment product liability defense, trucking defense, insurance defense and towing and recovery liability. John Isaac also serves as national coordinating discovery counsel for a major automotive client. For his efforts and as determined by his peers, John Isaac received an attorney ranking of AV Preeminent® with High Ethical Standing for professional excellence in the legal field. In his free time, John Isaac serves as an active member of Asbury United Methodist Church. He also enjoys supporting UNC sports teams, playing golf, reading and spending time with his wife, Jenny, and two boys, Isaac and Taylor. John Isaac earned his BS from The University of North Carolina at Chapel Hill and his JD from Cumberland School of Law at Samford University. Speaker for 2017 CLM Webinar, "Personal Jurisdiction Post-Bauman: Considerations for Effectively Asserting a Challenge to General Personal Jurisdiction In the Wake of Daimler AG v. Bauman"